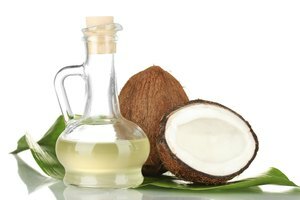 From adding healthy fat to a sauté to moisturizing skin, coconut oil does just about everything. This MVP oil comes from mature coconut meat and has a mild, nutty flavor. makes it particularly great for making flaky pastries, including pie dough. Will it make your recipes taste like coconut? Yes, a little. Whether the recipe is sweet or savory, coconut oil imparts a mild, nutty flavor. It also deepens the flavor of rich desserts like pound cake or chocolate ice cream.
. Heat the oil to no more than 325 to 375 degrees Fahrenheit. If it's too hot, the oil will burn and smoke, leading to charred, smoky foods. Liquefy a whole jar of coconut oil by running hot water over the sealed jar until the oil warms enough. 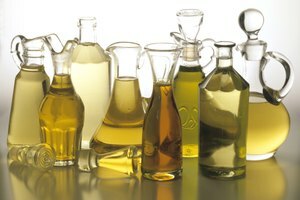 To liquefy smaller amounts, microwave the oil on high for 15 to 30 seconds, depending on the amount of oil. Coconut oil added directly to a hot pan melts naturally.